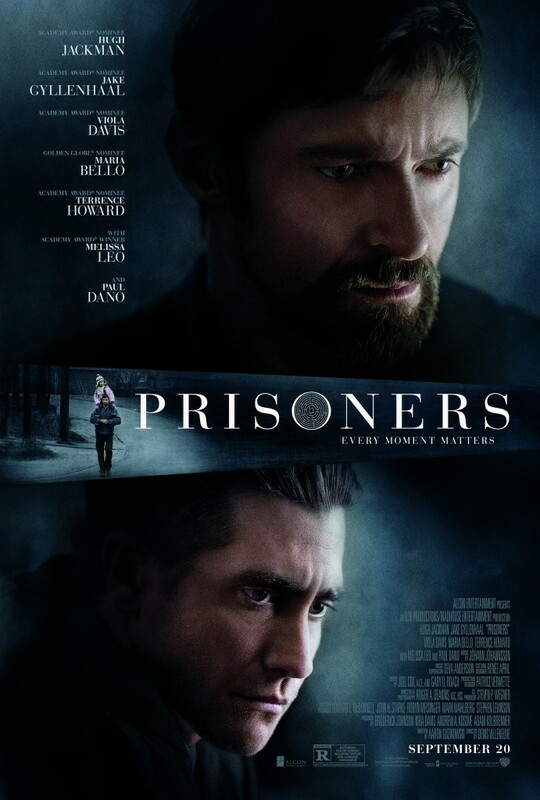 With an A-list cast, a hot-button premise ripped from today’s news headlines, and solid, capable direction from French-Canadian filmmaker Denis Villenueve, Prisoners has a great deal going for it in terms of captivating audiences and leaving them talking and thinking about its themes long after the credits roll. 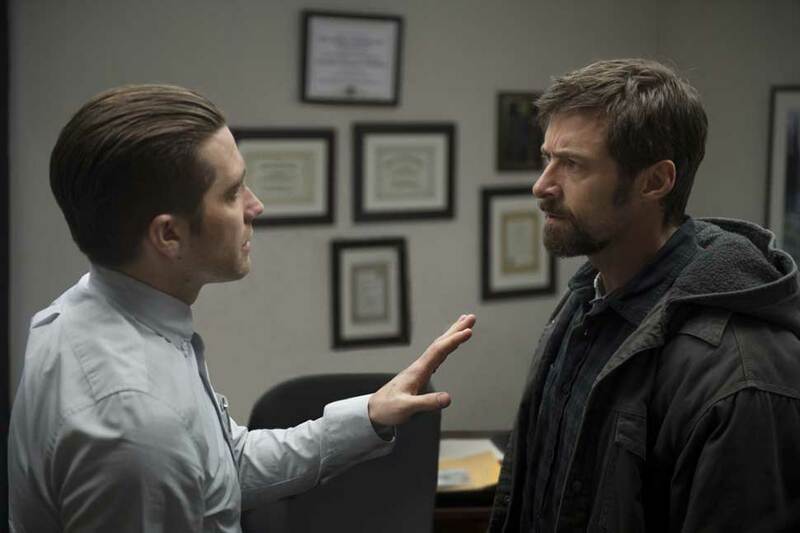 Prisoners has a great deal going for it in terms of captivating audiences and leaving them thinking about its ideas long after the credits roll. The film features an A-list cast, a hot-button premise ripped from today’s news headlines, and a well-respected, Oscar-nominated filmmaker in the director’s chair. But in this case, ‘less’ might have served better than ‘more.’ The film’s length at 153 minutes, plus its laborious pacing, make a story that’s already difficult to watch due to its plot and imagery even harder to sit through. They rob the film of the sense of urgency that powers truly great mysteries and thrillers. When their two youngest daughters disappear on Thanksgiving, two small town Pennsylvania sets of parents — Keller and Grace Dover (Hugh Jackman, Maria Bello) and Franklin and Nancy Birch (Terrence Howard, Viola Davis) — frantically take part in the search while trusting the local authorities to do their jobs and bring their children home. At first, the search focuses on a suspicious RV that the kids came across earlier in the day. When Detective Loki (Jake Gyllenhaal, End of Watch) finds that RV and its driver relatively quickly, it seems that the safe return of the kids is close at hand. But the driver of the camper, Alex Jones (Paul Dano), is mentally impaired. To all appearances he has little understanding of what’s happening to him when he’s taken into custody and questioned. After 48 hours, the detective and his fellow investigators are no closer to finding the kids. Without evidence to charge Alex, they’re forced to let him go back to his adoptive mother, Holly (Melissa Leo). Watching Alex slip out of the police’s grasp is too much for Keller. With Grace collapsing into despair and hours with the children still missing stretch into days, he starts down a path to get the truth out of Alex himself. It’s a path fueled by impotent rage and a fanatical need to protect his family, borne of his own past experiences. It’s also a path that will lead him and those who aid him to a dark place in the human soul where nothing, not even the rights of another human being, matters anymore. In that place, all that remains is the worst fear a parent can ever feel. As compelling a question as that is, its resonance with audiences depends entirely on how relatable the primary character facing the question is to the audience. Jackman, as he does with just about every role he takes on, commits completely to the emotions that fuel Keller, and it’s a powerful, memorable performance. But writer Aaron Guzikowski (Contraband) gives audiences too many reasons to feel distanced and alienated by Keller’s increasingly violent behavior. What the story needs to be compelling to as broad an audience as possible is an “everyman.” The more audiences learn about Keller’s past and the more his actions make sense in that context, however, the less of an everyman he becomes. In comparison, Terrance Howard as Franklin is a far more relatable character. He reacts with appropriate horror and fear at his friend’s behavior. Unfortunately, he’s not on screen nearly long enough, and he’s really just a supporting player here. As for Gyllenhaal, it’s a strangely muted performance. He plays Detective Loki as a calm, measured individual, confident in his abilities and restrained in his emotions. In his dealings with the Dovers and Birches, his body language and expressions effectively convey an effort to remain emotionally detached in order to get the job done. As the film goes on, that emotional detachment appropriately gets more and more difficult to maintain. Gyllenhaal accomplishes all of this almost too well. That emotional distance, that forced coldness, effectively distances the audience as well, and the whole performance comes off as flat. Reading it from the script, it must have seemed like the right choice. But in execution both characters might prove to be difficult to connect to for a majority of viewers. Director Denis Villeneuve sets all of this against a cold, barren backdrop populated by dead trees, hardened earth, and consistently grey skies, the norm for the onset of winter in rural Pennsylvania. That tone is logical and consistent with what audiences might expect. Its dreariness, though, adds to the difficulty of watching the story unfold over its ponderous length. Certainly, the film lives up to its title. All of its primary characters find themselves imprisoned by the circumstances, either literally or metaphorically. Just how the script sets that up is elegant and artful. But the film effectiveness as entertainment suffers from that same artfulness, that same attention to detail and logic. It’s a strange detriment, no question. Usually a film’s lack of logic draws scrutiny, not the other way around. Truthfully, what Prisoners needed to be a more effective and arresting piece of entertainment was a little less character detail. That sounds ridiculous, for sure. But it may have helped make the characters with whom we spend most of the story be more sympathetic to a larger audience. But then again, maybe Villeneuve and the producers behind the film weren’t out to make something purely entertaining. They gave us hard, polarizing characters In order to truly examine a hard question. No doubt, some will walk away from Prisoners debating for hours the merits and faults of the characters because the question at the heart of everything touched a nerve. And maybe that was the real goal, after all. If so, mission accomplished. Starring Hugh Jackman, Jake Gyllenhaal, Viola Davis, Maria Bello, Terrence Howard, with Melissa Leo and Paul Dano. Directed by Denis Villeneuve. Rated R for disturbing violent content including torture, and language throughout.